⬅ Branding your ministry 101. Here are the 10 iPad I can’t live without. They are the first apps I install on any new iPad or IPhone I buy. Feedly – I was a google reader fan and used Mr. Reader on my iPad with google closing the doors on google reader I have made the switch to Feedly the transition was seamless. I love the layout options and experience Feedly provides. I blogged about the switch to feedly here. Downcast – Love how this app makes the listening subscribing and function of podcast infinitely easier than apple does. It allows you to stream content saving space on my device. I can also download episodes for offline enjoyment. Agenda – This is an alternative to the native iOS Calendar application. I like its simple and elegant interface much better. It is just more intuitive to me. (I also use it on my iPhone.) It connects directly to Google Calendar, which is what I use to manage my appointments. Mailbox – This to is an alternative to the native iOS application called mail. I like that it forces me to deal with mail in an organized fashion without allowing them to be buried in a folder somewhere. Mailbox has a clean simple workflow that if you use gmail you must use this app it’s fantastic. Evernote – I love Evernote – I use evernote to for tons of things from cataloging messages, illustrations, book notes to keeping copies of my receipts and even a copy of my passport should be abroad and lose it, I will always have a copy handy. New City Catechism – This app was created by Redeemer Church in New York City. Keller and his team created a 52 week catechism based on The Heidelberg Catechismof 1563 and Westminster Shorter and Larger Catechisms of 1648. The app is beautifully laid out and easy to use. Our family goest through it together over dinner. Kindle Reader – Love reading books on my iPad mini. It is the perfect size I have used an actual kindle reader but most often prefer my ipad. The reason I prefer the iPad as a Kindle reader is because I use Evernote to log my notes on a book and use Drafts to send out quotes to all my social media sources. Here is a great article from Michael Hyatt on importing highlight from your Kindle books into Evernote. Drafts – In Drafts you can get that text down quickly and decide what to do with it later. Extensive output options let you send text to Twitter, Facebook, App.net, email, SMS, a Calendar event, quickly save it to Dropbox or Evernote – or forward it to a growing list of other Apps such as OmniFocus, Things, Fantastical, Byword, Sparrow and more. Customize actions to fit into any workflow. YouVersion Bible – One of the first apps available on the iPhone was YouVersion by Lifechurch.tv I love what they have done with this app and how they continue to improve it. I use it in church and I use the Bible reading plans for my daily reading at home. Box.com – I use box.com for storing and sharing files rather than dropbox because I find Box sharing abilities much more flexible I also downloaded the iPad app a few months back and got 50gb of storage for life. Great list Sam. 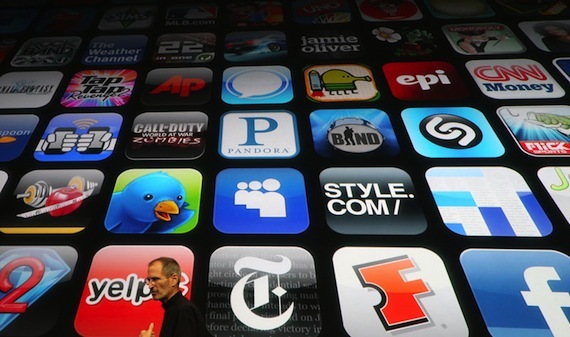 I will definitely look into these apps. Evernote is my favorite. Hope all is well.